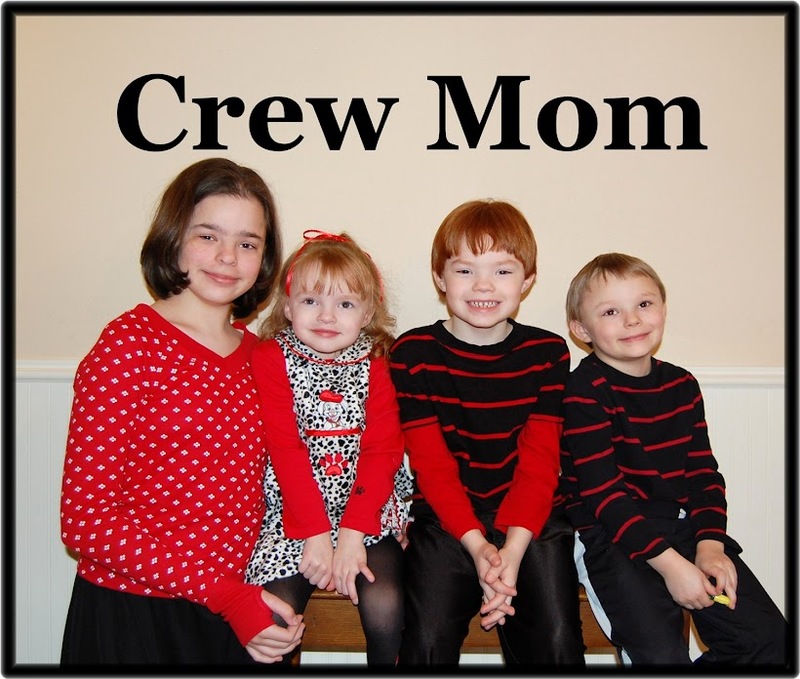 Crew Mom: Christmas Card Pics with 3 kids, need I say more? Here's the scenario: Mom has great idea to take the kids photos herself. The past few attempts in a studio stopped just short of blood shed. Mom thinks doing the pics at home will save a trip to the ER. Mom finds cute candy cane/peppermint wrapping paper at the dollar store. Mom hangs wrapping paper on wall as the backdrop. Mom thinks as an extra incentive to sit still for pics, she will give each kid a real candy cane to complete the "look". Mom hopes to use the caption, "Hope your holiday is sweet!" Aww, isn't that cute? Apparently it is impossible to get three kids smiling, looking at the camera and still at the same time for a 3 second photo. Or at least it is impossible for my three kids. If I wasn't pregnant, I'd be hitting the bottle right about now. I'll keep that idea in mind for next year, for I'm sure I will have another brainstorm photo idea. Notice one crying child and two happy ones? That stick is Mark trying to entertain the kids. For Christmas cards, I ended up just using a template with 3 photo areas. I looked through my stock and found a decent individual pic of each kid. They are on order now and won't be ready until tomorrow morning. Yeah, yeah, I know it's the 22nd. All I can say is I tried.